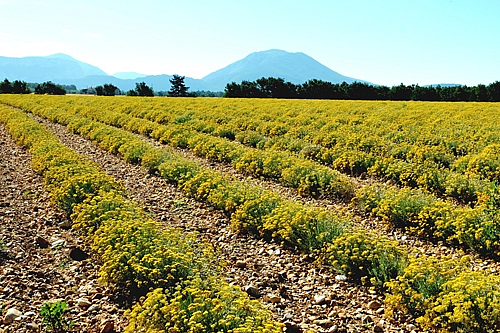 Helichrysum from our trusted COOP in Haute Provence. The harvest of wild Helichrysum italicum for commercial purposes is illegal in mainland France. But this regulation obviously does not apply to cultivated crops. 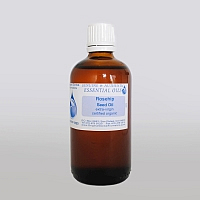 The essential oil we offer is distilled from the plants shown in the image. Therapeutically the oil should be indistinguishable from Bosnian or Corsican specimens. If anything its fragrance is somewhat fresher. When it comes to truly authentic Helichrysum oils this oil probably has the lowest available price.